Cambridge Energy Solutions (CES-US) is a software company with a mission to develop software tools for participants in deregulated electric power markets. CES-US provides information and tools to assist market participants in analyzing the electricity markets on a locational basis, forecast and value transmission congestion, and to understand the fundamental drivers of short and long term prices. Each new day we become more aware that creative thinking is essential when confronting our modern day conundrums. In realizing this it is imperative that we participate in what the competitive knowledge-based economy offers us. Autarky is the quality of being self-sufficient. Technology is an important contributor in reaching this goal. Global problems like CO2 -emission and rising energy prices ask for technological solutions. One of these contributing initiatives is the Archimedes urban turbine developed by Messrs. M. Mieremet MSc and R.R. Ruijtenbeek bbe. The company is built on the re-invented formulas, drawings and principles of Archimedes. A durable symbiosis however is possible: Wind turbines can produce "clean” energy from Earth's energy. The rated output will make this possible while power plants can remedy customers' remaining demand with "dirty" energy. 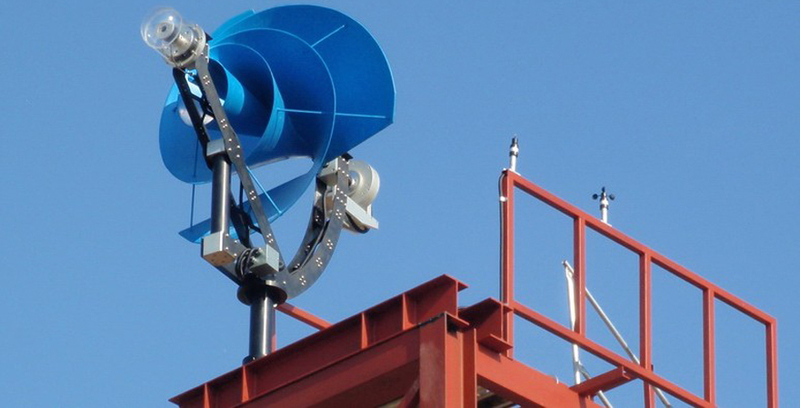 For households, clean energy can be realized with The Archimedes wind turbine. All our products are based on the 3P-princible, Our company works by following the waste hierarchy, we calculate our products on the Total Cost of ownership and we are trying to archieve the best possible eco-balance with Life Cycle Assessment. Supported by old documents from Archimedes we revived the ancient Greek mathematician's work, and developed new theories and techniques that more closely follow the natural laws of physics for energy. Archimedes was one of the greatest scientists and thinkers in ancient Greek history (Syracuse, Sicily, 287 BC, there in 212 BC). Most today's wind turbines require that a difference in pressure between the front and the rear side of the rotor blades be maintained in order to be effective. However, this difference in pressure also has a negative effect called "drag". Our turbine rotor captures the kinetic energy of the wind due to its speed, and, by reversing the wind and reducing it to almost zero Beaufort converts it into mechanical energy. By doing this the wind speed's effect (in kinetic energy) on the rotor is maximized and "lift" is obtained by the wind's acceleration over the rotor plane. Important for the customer to know is that "green" energy has now become more cost-efficient because of the efficiency and because of the low cost of the Archimedes urban wind turbine. What is important for the environment is that zero CO2-emission, the cause of the greenhouse gas effect, will be its result thanks to the teamwork at The Archimedes BV. Morningstar Corporation is a world-leading supplier of solar charge controllers & inverters, with over 2.5 million units installed in over 112 countries. Morningstar's products have been recognized in international solar markets as the most advanced and highest quality products available. Many of our customers tell us that Morningstar is their best supplier. For over 20 years, Morningstar has been a consistent and dependable partner: same ownership, same management and same strategy. We are 100% focused on our core competence: solar power electronics. Most importantly, Morningstar is an employee-owned company. Our people are passionate and dedicated to the long-term success of photovoltaics and our earth's sustainability. They are here to serve our customers for the long-term. Morningstar's products have been recognized in international solar markets as the most advanced and highest-quality products available. Our products exceed all other PV controllers & inverters for protection against extreme environments, corrosion, lightning surges and harsh ambient operating temperatures (common to remote PV systems)—all while delivering more than twice the industry's average operating life. 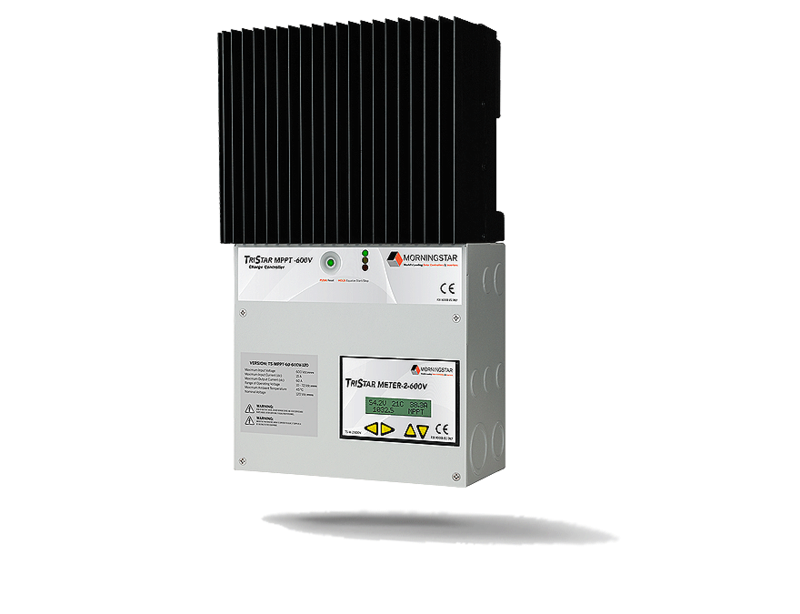 Our advanced PWM & MPPT solar charge controllers deliver extended battery capacity & life, lower overall system costs and maximum energy harvest. Our simple-to-use products & customer-focused support includes multi-lingual product documentation, detailed operation/installation manuals, phone & web-based tech support as well as a variety of user & installation friendly product features. To continue to expand and maintain the stature of the Morningstar brand by delivering new and exciting solutions for the renewable energy market through strong work ethic, superior design, integrity in our business practices, and forthrightness with our employees, shareholders, and customers alike. Our focus is quality and time to market. Sunforce Products Inc. is a leader in the renewable energy industry, manufacturing and distributing both solar and wind powered products. Our products range from solar panels and wind turbines to system components such as charge controllers and inverters, as well as solar lawn and garden and security products. Sunforce is a privately held company established in 2003, and our products can be found at retailers worldwide. Our North American headquarters is based in Montreal with offices in Spain, Hong Kong and Taiwan. Sunforce Products Inc. aims to provide its customers with simple, green energy solutions. We are committed to offering end users "Do-It-Yourself" solar and wind kits that any consumer can set up on their own, without the use/need of electricians or specialized contractors. With over five years of R&D and thousands of projects in self-consumption and electrification of isolated sites, IMEON ENERGY designed a revolutionary Smart Grid inverter : IMEON. This intelligent inverter provides an answer to the intermittency and fluctuation of solar energy by managing multiple sources (Solar/Batteries/Grid) at once. Since several years, the prices of electricity from the grid are rising while the cost of photovoltaic modules continues to fall. By increasing the overall efficiency of photovoltaic installations with smart storage management, IMEON generates a more competitive solar kWh than that of the public grid. IMEON is able to optimally integrate solar energy to existing infrastructures by relieving the public grid during solar production peaks (battery charging) and supporting the grid during evening consumption peaks (battery discharge). The IMEON solutions renders solar electricity economically viable and accessible to all. It's the logical choice. The IMEON ENERGY team has been long convinced of the need to combine ecological solutions with economical savings for home energy self-use needs and, as a result, we developed the IMEON innovative solution to address them. Combining many functions essential to renewable energy systems (on-grid inverter, off-grid inverter, charger, router, source switch), we designed and created the most intelligent and versatile renewable energy production management inverter on the market available today. (IMEON does not require complex configuration but adapts its own operation by analysing real time production and consumption in real time. IMEON uses and directs energy in an intelligent manner to ensure optimum performance. "Grid Optimised Storage” reduces the storage capacity requirements and significantly increases battery/system life-span. Shenzhen Mustups Power Limited established in 1998, with the headquarter in Hongkong, which is a professional hi-tech enterprise specialized in Power Inverter, Solar Power, VRLA Battery development, manufacturing, sales and after-service. Power inverter, Solar inverter, Solar charge controller, Solar battery, Solar power Pack and some other related Solar products. Most of products from Mustups applied with CE, FCC certificates. The main markets are Ukraine, Russia, Vietnam, Thailand, Pakistan, India, etc. Must Power Limited is one of the authorized suppliers for China Citic Bank, Ministry of Information Industry of China, Ministry of Power Industry of China, Ministry of Transportations of China. With an excellent R & D team formed by over 30 engineers and a skilled, dedicated workforce, together 10,000 square meter in-house manufacturing facilities in Guangdong China, Shenzhen Mustups has innovated, developed and improved the products to meet the demands of customers and keep pace with changing demands of the industries. With ‘close to customer’ notion, we have aligned most of its resources to support our Original Equipment Manufacturer (OEM) customers, and work with our customers as power partners. Our mission is to be the best supplier of power solutions, and to accomplish this, we will continue to tailor products for market needs while maintaining high quality, integrated customer service and prompt delivery. Our services and production have an ecological future. We make a worldwide contribution to reducing power consumption and allowing alternative energy sources to be used efficiently by providing high-performance products. In order to achieve these goals we have established a wide base. We offer electronic services for residential, automotive, agricultural, environmental, traffic and building technology and also for the industrial and medical sectors. Moreover we develop products for the environmentally friendly use of solar energy under the brand name of Steca. We are one of the few manufacturers that cover all three segments of the solar market: PV grid feeding systems, off-grid PV systems and solar thermal systems. We also produces battery charging systems that extract the maximum potential from the energy storage system.